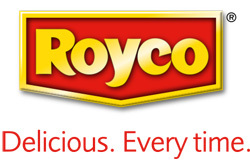 Prepare the ROYCO® Chicken Marinade according to pack instructions. Add the lemon juice, garlic, cumin, saffron/turmeric, paprika and chilli. Pour over the chicken pieces and leave to marinade for 20 mins. To cook: Braai over medium coals for 15-20 mins, basting frequently OR roast at 200ºC for 45 mins, baste every 15 minutes.